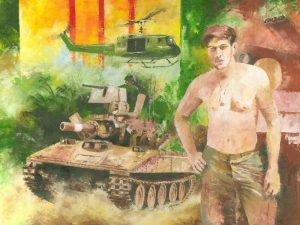 Russell Dove ordered an oil painting standing here with his Sheridan tank in the Vietnam War. Learn more about this famous tank. Most of all, the artist will also create your own personal patriotic painting on any size canvas you may choose.